A rare opportunity, which will allow you to finally attain the fame and fortune you’ve always wanted, presents itself when your internet video managed to land you in the spotlight. A talent agency is willing to give you a shot at stardom, but you’ll need plenty of cash to do so. 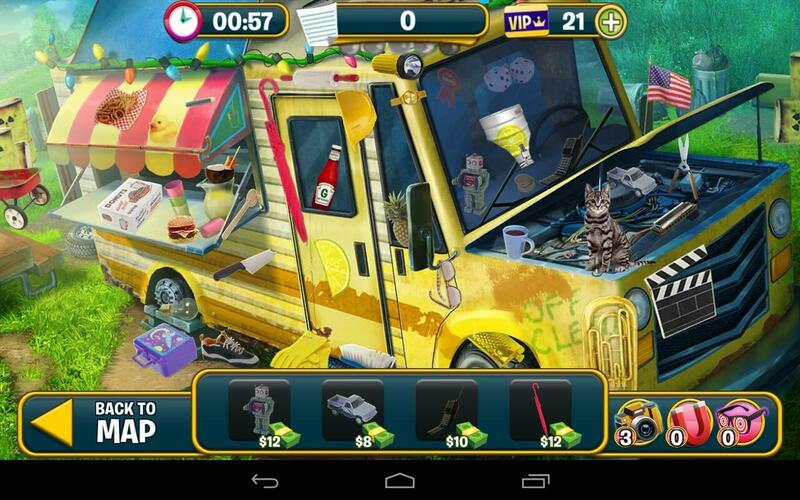 Search for hidden objects for various characters in Hidden Object: Fame and Fortune to earn some money. Feeling lucky? You can try doubling your money at the casino as well! The path to become one of the rich and famous can be gruelling... do you think you are up to it? 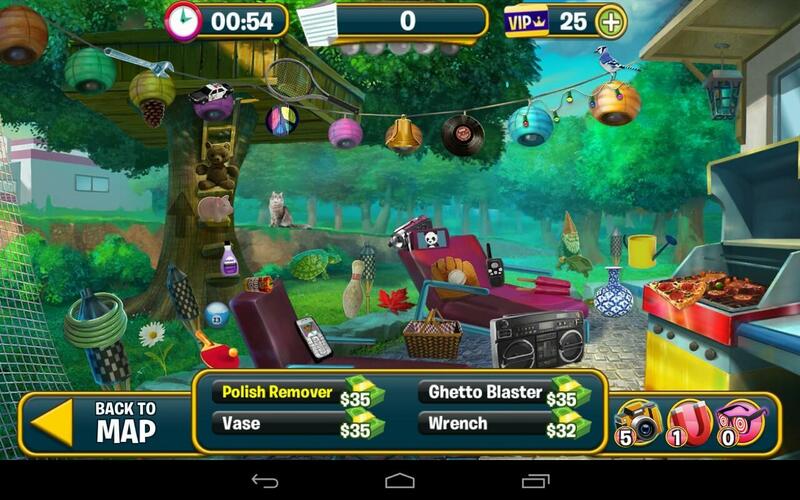 To start playing Hidden Object: Fame and Fortune, you’ll first need to create a character. After selecting a gender, there are many choices, such the hairstyle and color, skin color, lip shape, and other facial features, for you to customize your character and make it uniquely your own. Let’s not forget about the many articles of clothing available in this game as well. Unfortunately, most of clothes and accessories are restricted for the moment. You can easily unlock them by leveling up. Once unlocked, you can then buy the items you want using in-game cash, or sometimes, premium currency. Interestingly, you can also use the selfie option to get a nice snapshot of your character and share it to your timeline on Facebook. Ready to start your journey to stardom? Well, first things first, let’s take a look at the hidden object scenes in this game. There are 2 scene types available, namely picture search and word list. For word list mode, you’ll be given the names of the hidden objects that you’ll need to find, while for picture search, you’ll be given colored pictures (not silhouettes) of the items instead. This game also features puzzles, specifically, picture puzzles, whereby you’ll need to rearrange the picture fragments provided, so that the picture of the scene in question would be whole once more. Each scene or puzzle that you play in Hidden Object: Fame and Fortune will cost you a certain amount of energy. Energy will replenish itself over time, but if you couldn’t wait, you can always spend some premium cash to buy more energy. Your energy meter will also be refilled whenever you level up, and sometimes, you might even get some free energy points, along with chips that you can later spend at the casino, while playing a scene. Need some help in a scene? Well, the game also offers hints in the form of cameras, magnets and funny glasses that you can buy and use. Like most HO games, you can earn up to 5 stars per scene. Stars are essential in this game for you to complete the tasks you’ve been assigned. There are also star milestones that you can reach in order to grab swag bags which contain 1 random wearable item each. Amazingly, the game even has a random bonus round whereby you will be given just a few seconds to find a bonus item in the scene. Each scene offers 2 bonus items that you can grab... only if you’re fast enough, that is! Progression in Hidden Object: Fame and Fortune isn’t exactly linear though. This means that successfully completing a scene won’t guarantee that you will have a new scene to play with. Instead, you will have to keep your eyes peeled for “for sale” signs on any of the properties in the game. Each business purchased will allow you access to a new scene while each residential property gained will uncover a new zone, filled with more businesses, for you to snap up. New properties don’t come cheap, so hop on over to the game’s casino to turn your dimes into dollars! There are a total of 5 games listed at the casino, two of which – the slots and the wheel of wealth - are currently available. You’ll need chips to play these games though, and if you ran out of chips, you could buy more using premium cash. 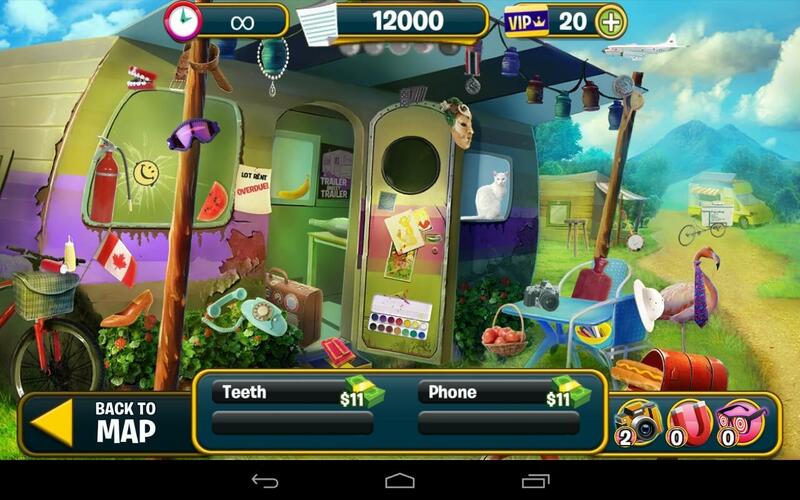 In a nutshell, Hidden Object: Fame and Fortune is a one-of-a-kind hybrid game that allows players to enjoy finding hidden objects and gambling all in a nifty package. If you are a fan of both HO and casino games, Hidden Object: Fame and Fortune is most certainly a game you wouldn’t want to miss. Try it today!